1. When God puts love and compassion in your heart toward someone, He’s offering you an opportunity to make a difference in that person’s life. You must learn to follow that love. Don’t ignore it. Act on it. Somebody needs what you have. 2. Love overlooks a person’s faults. That’s not always easy, but love believes the best in every person. 3. The marriage partner is not really the problem. No other person can ultimately make you happy. You must learn how to be happy within yourself. 4. The greatest gift you can give someone is your time, your attention, your love, your concern. Excerpt from Wikipedia: Joel Scott Osteen (born March 5, 1963) is an American author, televangelist, and the senior pastor of Lakewood Church in Houston, Texas. His ministry reaches over seven million broadcast media viewers weekly in over 100 nations around the world. 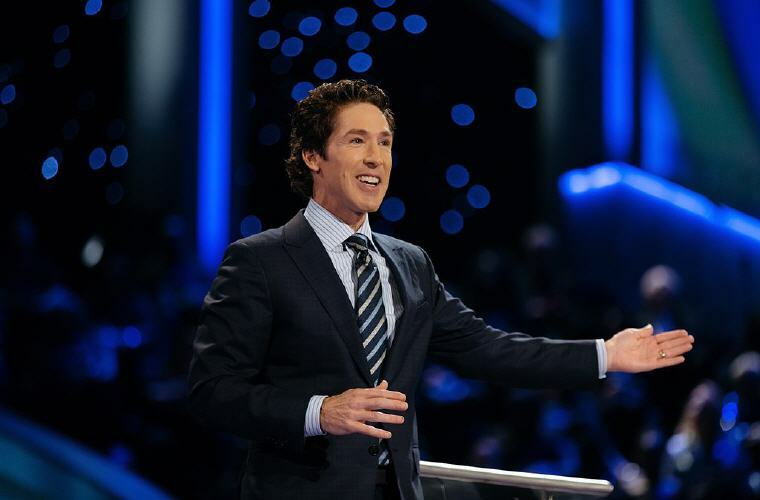 Connect to Joel Osteen for more empowering learning. 2. Keep in mind, hurting people often hurt other people as a result of their own pain. If somebody is rude and inconsiderate, you can almost be certain that they have some unresolved issues inside. They have some major problems, anger, resentment, or some heartache they are trying to cope with or overcome. The last thing they need is for you to make matters worse by responding angrily. 3. Quit worrying about how everything is going to turn out. Live one day at a time; better yet, make the most of this moment. It’s good to have a big – picture outlook, to set goals, to establish budgets and make plans, but if you’re always living in the future, you’re never really enjoying the present in the way God wants you to. 4. You have to learn to follow your heart. You can’t let other people pressure you into being something that you’re not. 6. You may think there is a lot wrong with you, but there is also a lot right with you. 7. Somebody needs what you have to give. It may not be your money; it may be your time. It may be your listening ear. It may be your arms to encourage. It may be your smile to uplift. Who knows? Maybe just like that little baby, putting your arm around somebody and letting him or her know that you care can help begin to heal that person’s heart. Maybe you can give a rescuing hug. 8. It’s vital that you accept yourself and learn to be happy with who God made you to be. If you want to truly enjoy your life, you must be at peace with yourself. 9. Keep in mind, just because you don’t know the answer doesn’t mean that one does not exist. You simply haven’t discovered it yet. 10. We may get knocked down on the outside, but the key to living in victory is to learn how to get up on the inside. 11. Don’t just accept whatever comes your way in life. You were born to win; you were born for greatness; you were created to be a champion in life. 12. You can take pride in yourself without comparing yourself to anybody else. If you run your race and be the best that you can be, then you can feel good about yourself. 13. Your thoughts about your circumstances have you down. On the other hand, you can be in one of the biggest battles of your life, and still be filled with joy and peace and victory – if you simply learn how to choose the right thought. It’s time to think about what you’re thinking about. 14. Certainly, none of us enjoy going through struggles, but you have to understand that your struggle may be an opportunity for advancement and promotion. The very thing you are fighting against so tenaciously may be the springboard that catapults you to a new level of excellence. Your challenges may become your greatest assets. 15. Don’t simply settle for what your parents had. You can go further than that. You can do more, have more, be more. 16. Certainly there are times in all of our lives when bad things happen, or things don’t turn out as we had hoped. But that’s when we must make a decision that we’re going to be happy in spite of our circumstances. 17. We’ve got to give people room to have a bad day. 18. That’s why it is important to enjoy the journey not just the destination. In this world, we will never arrive at a place where everything is perfect and we have no more challenges. As admirable as setting goals and reaching them maybe, you can’t get so focused on accomplishing your goals that you make the mistake of not enjoying where you are right now. 19. One of the main reasons that we lose our enthusiasm in life is because we become ungrateful; we take for granted what God has done for us. We let what once was a miracle become common to us. We get so accustomed to goodness, it becomes routine; it doesn’t really excite us anymore. 20. The best is yet to come. Don’t allow your life to become dull. Keep dreaming, hoping and planning. 21. Don’t do anything that you wouldn’t feel comfortable reading about in the newspaper the next day. 22. If you will lie about the little things, before long you’ll lie about bigger things. 23. You cannot hang out with negative people and expect to live a positive life. 24. You may have been through some disappointments, but this is a new year. Your greatest victories are still in front of you! 25. At the start of the day, let go of the disappointments and setbacks from yesterday. Start every morning afresh and anew. 26. Don’t compare your situation to somebody else’s. You’re not running their race; you’re running your own. 27. Seeds of discouragement cannot take root in a grateful heart. Choose to see the best in every situation. 28. Don’t worry about your future. At the right time, it will come together. Stay in peace. 29. Don’t miss today worrying about tomorrow. Today is a gift. You can never get this day back. 30. Be selective with what you give time and attention to. Your destiny is too valuable to allow negativity in. 32. When it’s all said and done, you may go through the fire, through the flood, through the famine, but you’ll come out standing strong. 34. Learn to live each day to the fullest. Don’t complain. Don’t focus on what’s wrong. Be grateful for the opportunity to experience each day. 35. No matter how dark and gloomy it looks in your life right now, if you’ll release the weight of those burdens, you will see the sun break forth. 36. Sometimes you face difficulties not because you’re doing something wrong, but because you’re doing something right. 37. Slow down and enjoy the journey right now. Take time for the people God has put in your life. They won’t always be there. 38. Don’t let the burdens of life to weigh you down. We all have tough times, hard things to handle, or heavy loads to carry. Don’t allow your problems and circumstances to steal your joy. 39. Act like you’re blessed, talk like you’re blessed, and think like you’re blessed. Put actions behind your faith, and one day you’ll see it become a reality. 40. Remember that it’s always darkest before the dawn. The bigger your challenge, the closer you are to your victory. 41. You cannot change the past, but you can do something about the future. 42. Just because you’ve come to a dead end, it’s not time to give up. Find a different route and keep pressing forward. 43. Don’t focus on where you are today; keep a positive vision, and see yourself accomplishing your goals and fulfilling your destiny. 44. It’s time to get your hopes up; enlarge your vision, and get ready for the new things that God has on the horizon. 45. Sometimes you face challenges not because you’re doing something wrong, but because you’re doing something right. 46. You may be in a situation where people around you are a little lazy, indifferent, undisciplined. Don’t let that rub off on you. You need to set a higher standard. 47. Just because we’re in a stressful situation doesn’t mean that we have to get stressed out. You may be in the storm. The key is, don’t let the storm get in you. 48. Being successful doesn’t necessarily make you great. What makes you great is when you reach back and help somebody else become great. 49. Make up your mind that no matter what comes your way, no matter how difficult, no matter how unfair, you will do more than simply survive. You will thrive in spite of it. 50. If you’re controlled by your circumstances, life is going to be a rollercoaster with ups and downs. Instead, when you face an adversity, when you hit a tough time, one of the best things you can do is simply stay calm. Keep your peace. 51. When you have big dreams, you’re going to have big challenges. If you were an average person you would have average problems. 52. This is your moment. You’ve let excuses hold you back long enough. Today, take the steps to accomplish what is in your heart. 53. Nothing you face will be too much for you. You will overcome every obstacle, outlast every challenge, and come through every difficulty better off than you were before. 54. Pressure can make or break you. The only difference between a piece of black coal and a priceless diamond is the amount of pressure it has endured. 55. You’ve got to let go of what didn’t work out. Let go of the hurts and pain. Let go of your disappointments, your failures. You can’t do anything about the past, but you can do something about right now. 56. While waiting for things to change, don’t be discontent with where you are. Learn to enjoy the season that you’re in. 57. Instead of being discouraged by opposition, be encouraged knowing that on the other side of that difficulty is a new level of your destiny. 58. You may have had an unfair past, but you don’t have to have an unfair future. You may have gotten off to a rough start in life, but it’s not how you start that matters. It’s how you finish. 59. We all face challenges, but it’s not the size of the problem that’s important. It’s our perception of that problem; it’s how big or small we make it in our minds. 60. Instead of sitting around thinking about all the reasons you have to feel sorry for yourself, take the hand you’ve been dealt and make the most of it. 61. When you serve others, when you make somebody else’s life better, when you lift up people, when you help heal those that are hurting, not only are they being blessed, but you’re being blessed. 62. You may be up against a big challenge. That just means you need to get ready. You’re about to see a promise come to pass. 63. Positive people have made up their mind to enjoy life. They focus on the possibility, not the problem. 64. Life is flying by. You don’t have time to waste another minute being negative, offended or bitter. If someone did you wrong, get over it and move forward. 65. If you think you’re average, then you’ll be average. If you think you’re ordinary, then you’ll live ordinary. The truth is, there is nothing ordinary about you. You have something to offer that nobody else can offer. 66. Don’t make the mistake of wearing a negative label. Wrong labels can keep you from your destiny. Wear the right labels: strong, talented and valuable. 67. Life may not be fair, but if you’ll have the right attitude, instead of setbacks, everything will be a set up for something great in your life. 68. Don’t expect people to be perfect. If you’ll put yourself in their shoes, you’ll find they did the best they could with what they had. 69. You were never created to live an average life. You have seeds of greatness on the inside. 70. Wake up every morning with a thankful attitude. Expect something good to happen in your life today. 72. Joy is not dependent on what’s happening around you; joy is deep down within you. 73. That difficulty isn’t meant to defeat you, it’s meant to promote you. A setback is simply a setup for a greater comeback. 74. When people know that you believe in them and you go around speaking faith into their destiny, it ignites hope on the inside. Use your words to lift others up. 75. You have to be careful not only how you spend each day, but also with whom you spend it. To redeem your time, you may have to prune off relationships that are not adding to your life. 76. Don’t let circumstances pull you down. No matter what comes your way, get over it and keep moving forward. 77. This is the only life you have. You can’t be somebody else; this is your one shot. You may have a thousand reasons to live unhappy, but you’ve got to make the decision to choose to be content. 78. Kind deeds will never be forgotten. They may seem small to you, but they’ll be remembered for a lifetime. Take time to be good to people. 79. On the way to your destiny, there will be times of testing where you don’t see anything happening. But you’ve got to stay in faith and keep believing. 80. Today, choose to be happy. Choose to be grateful for the day. Choose to look on the bright side. 81. The real joy in life is not in what we get but in what we give. There is no greater feeling than making somebody else’s day. 82. Your job isn’t to judge. Your job isn’t to figure out if someone deserves something or decide who is right or wrong. Your job is to lift the fallen, restore the broken, and heal the hurting. 83. Sometimes there is a wall standing between us and our destiny, but our walls can break. 84. Life is going by. Don’t waste a minute being negative, offended, and bitter. You can choose to be happy. 85. Don’t let anyone’s bad attitude ruin your good one. 86. You can’t play it safe your whole life and expect to reach your highest potential. You’ve got to be willing to take some risk. 87. Today, dare to believe something amazing is going to happen in your life. When you believe, all things are possible. 88. Don’t accept lack and defeat as your destiny. There are seeds of greatness on the inside of you. 89. Instead of complaining about what’s wrong, be grateful for what’s right. 90. You’ll have true happiness, true fulfillment when you don’t live to get, but live to give. 91. You have what you need to succeed. Don’t let people and negative thoughts keep you from stepping in to your destiny. 92. Stay the course. Keep believing. You may be tired, discouraged and tempted to be frustrated, but don’t give up on your future. 93. You are not defined by your past. You are prepared by your past. 94. You may have had a setback, but that is just a setup for something greater. 95. You can’t base your happiness on what you have or don’t have. Learn to be content in every situation.